These watches, with crew-down chronograph pushers for enhanced water resistance, are so-called as it features the word Daytona above the hour register in red. The reference 6265 features a steel bezel (the reference 6263 has a bezel in black acrylic). 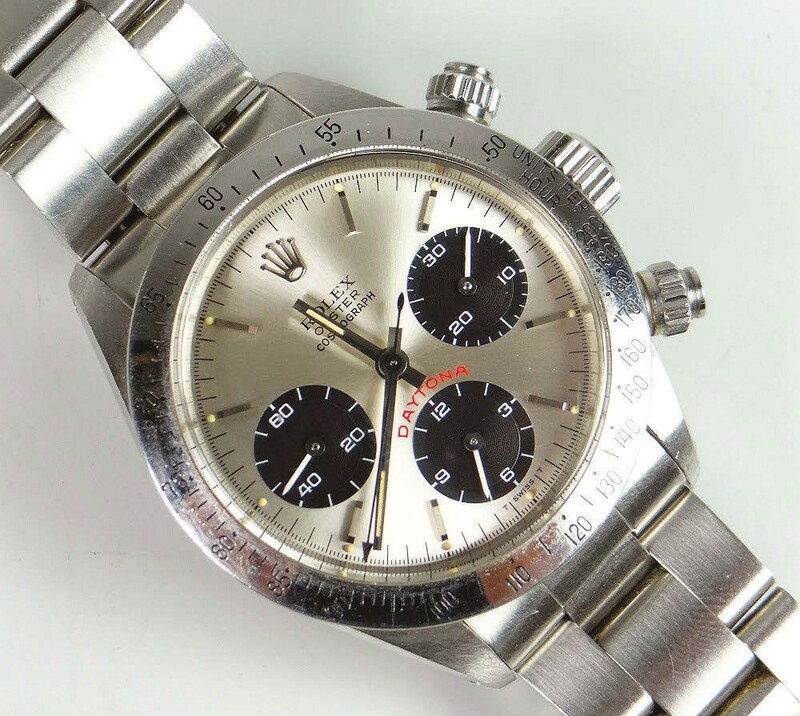 The example offered by Rogers Jones in Cardiff on March 1 came with its box and papers and a purchase receipt from Watches of Switzerland, Cardiff, dated February 27, 1987, for £882. The bracelet a service replacement, the watch was estimated at £3000-5000 but sold at £46,000. 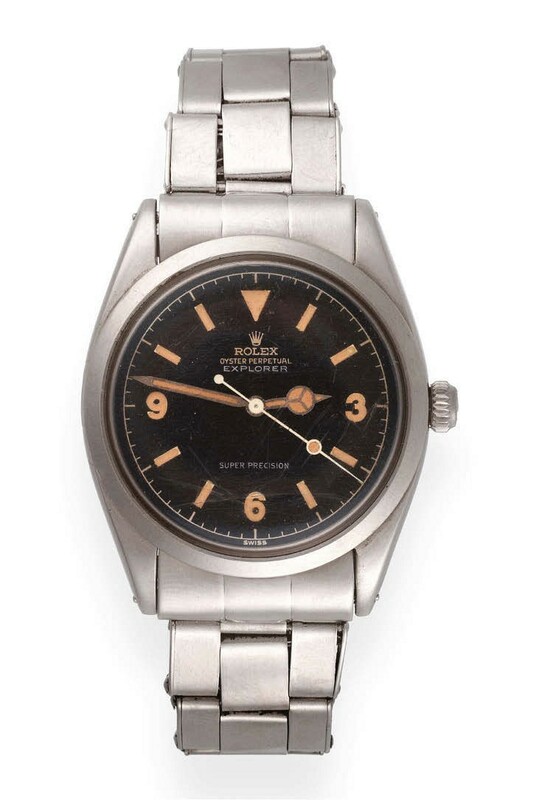 A very good example of much earlier Rolex sports watch, the reference 5504 Explorer, was offered by Tennants in Leyburn on March 23. This watch was first issued in 1957, making this one, dated II 1958 inside the screw back, among the earliest. Although vintage Explorers do not always make it into five-figure territory, this one sold for £16,500 (estimate £6000-8000). A key factor, alongside the inclusion of the Rolex box and guarantee booklet dated 29/7/60, was the original black dial with once glossy finish now aged to matt.